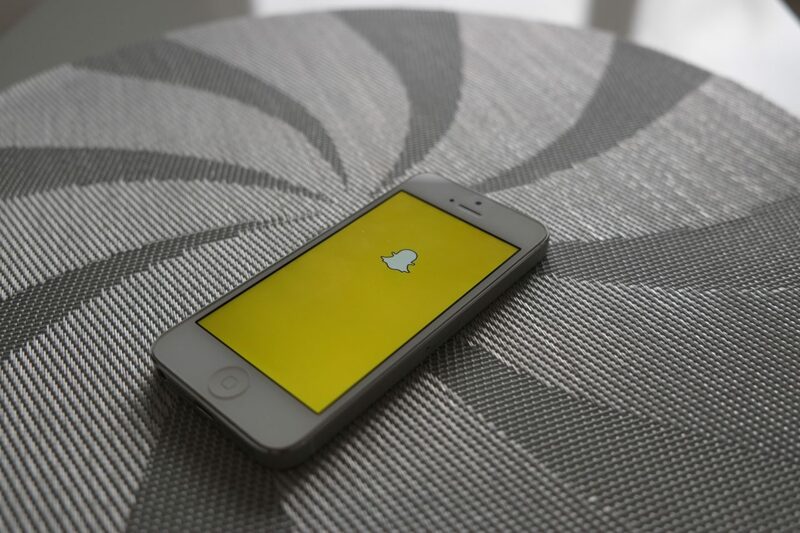 Snapchat is no longer just a private messaging tool for kids. 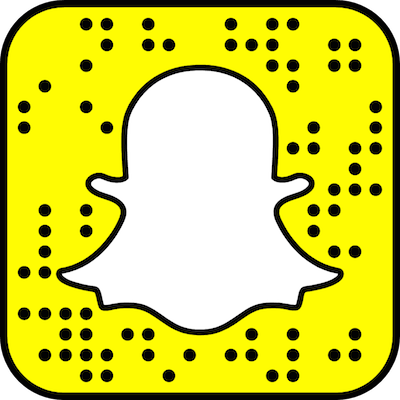 Snapchat is a news platform, and it’s a platform for more than just the 20 media companies with precious spots in Discover, Snapchat’s dedicated professional media channel. 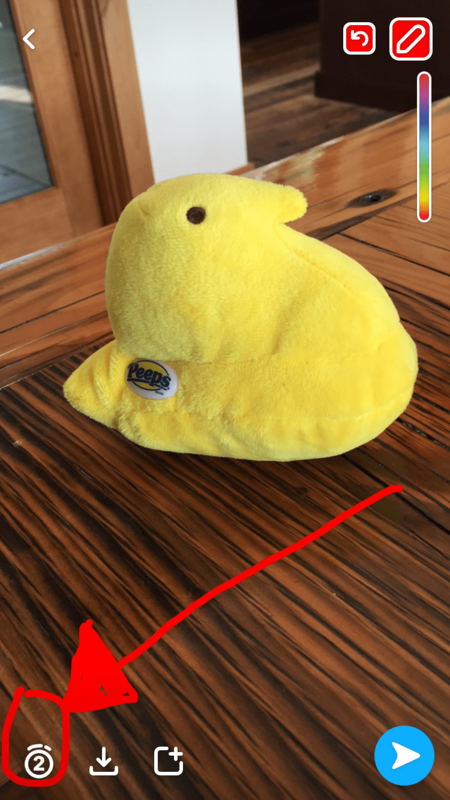 Media companies big and small are using the Snapchat Stories feature, which allows you to create longer videos by piecing together photos and individual videos, each up to 10 seconds long. Companies like The Hill and the Washington Post are using Snapchat Stories to cover political rallies; companies like The Skimm, Real Simple Magazine, CNBC, and CBS News are giving behind-the-scenes looks at their operations; and companies such as Mic, The Verge, and the Moscow outlet In the Now are using it to distribute original stories created just for Snapchat. And there’s a lot of crossover—most of the media companies I follow are still experimenting and have done all of these things and more. As social media strategist Barbara Kolbe Baker noted recently on her “Snaps by the Pond” channel, Stories have been so successful that they’re the target of Snapchat’s new ad rollout: Starting this week, advertisers can now buy ads between individual users’ Stories instead of being limited strictly to Snapchat Discover. Despite its promise and all the media companies jumping on board, Snapchat can still take a while to master. For the most part, stories have to be created on-the-fly, on a phone, and without editing. 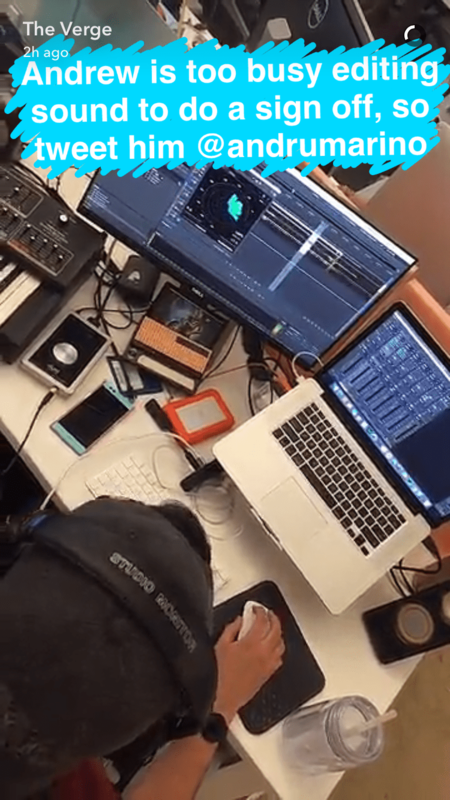 You can add text, filters, stickers, and so on, to your images, but you can’t crop the end of a video segment, for example. You can only delete it and film it again. Third-party tools exist that let you make a whole story and then upload the images and videos once you’re finished composing them. This allows you to do more editing, but in my experience so far, the tools have been buggy, and most media companies don’t appear to be using them. 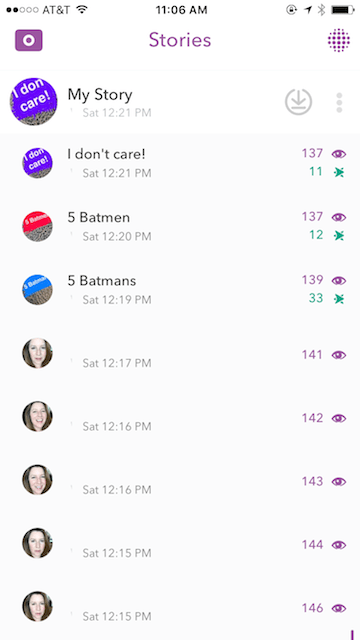 Once you have a grasp of the basics (perhaps through MediaShift’s Snapchat for Journalists class), here are four tips to help you avoid common errors and have a happier Snapchat audience. I’ve seen Snapchat stories from major news outlets with audio too quiet to hear and so much background noise it’s painful. They make microphones for phones. Get one. Today. Don’t cover another loud political rally without one. The Rode Videomic Me does a great job knocking down the kind of background noise I’ve seen ruin stories from horse races, car races, festivals, and parties. Once your create your image, you can change how long it stays on the screen. It defaults to 2 seconds, which is not long enough to read most text. 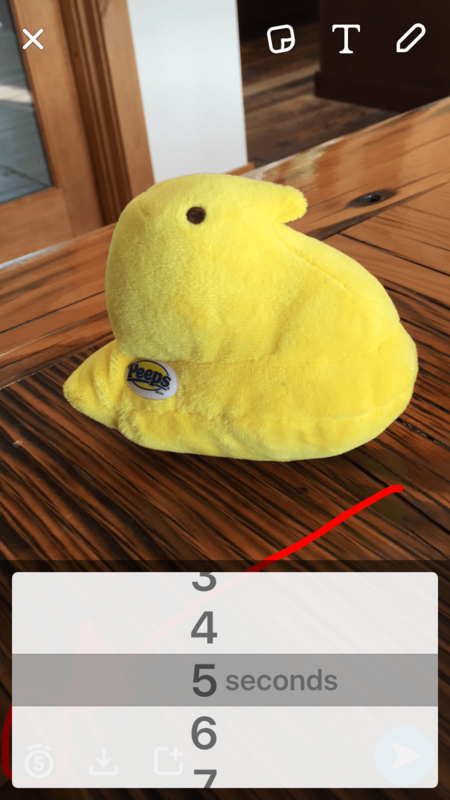 Tap that “2” in the bottom left corner and you get the option to make the image last longer in your story. It goes up to 10 seconds. Five seconds is usually long enough for the text I put on the screen, but don’t worry about leaving it up too long. It’s easy for readers to advance to the next image — just one tap anywhere on the screen. I’d much rather tap a slow story forward than have the story advance every time I’m halfway through a sentence. Without a remote, you have to hold down the shutter button on the phone screen the whole time you’re shooting a video, which can feel awkward, limit the angles you can use, and make it hard to hold the phone steady. 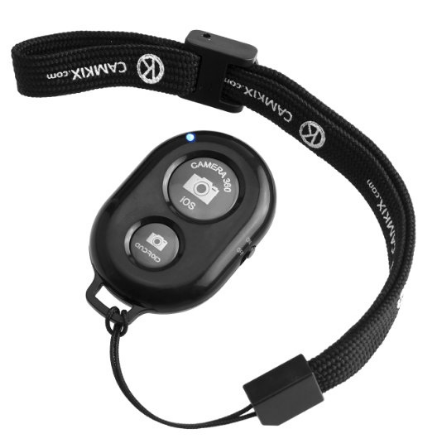 Using a Bluetooth shutter remote can make Snapping easier when you’re making stories alone, especially when you’re also using a mic that adds weight to the phone. Since you don’t have to hold down the button on the screen when you’re using a remote, it’s easier to look natural and take shots from different angles. It you also add a tripod, you can get a farther from the lens and include more of your surroundings while still being on screen. 1) You can add them as a friend. 2) You can configure your settings so that anyone can message you. 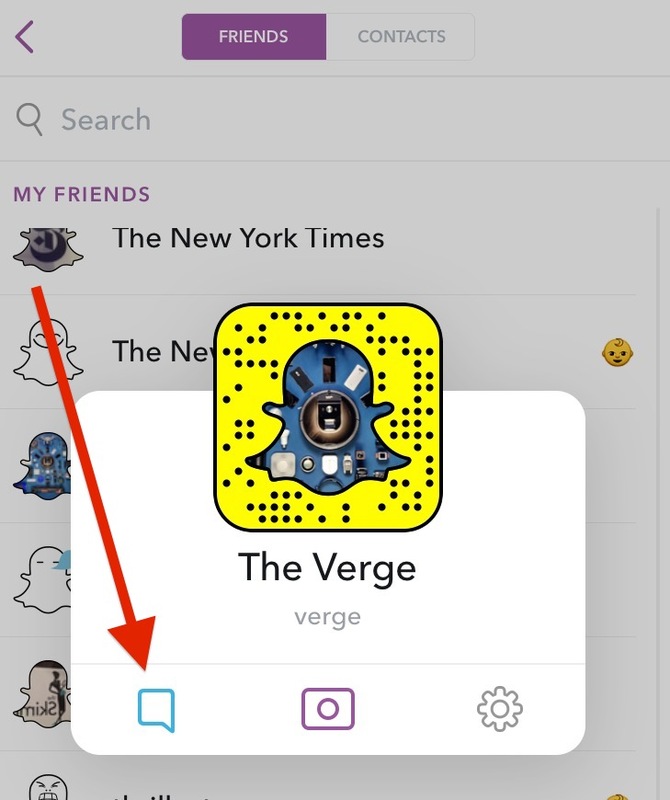 Users are likely to be more familiar with the first method because it’s how friends message each other, and there’s a visible “chat” prompt on the screen while they are watching your story. If you say “Snap us and let us know what you think,” in your story, and you are friends with everyone who has friended you, it should be clear to them how to contact you. However, adding back everyone who adds you as a friend is likely to make your own list of stories unusable if you are a media organization—you’ll see every story from every person you follow. It’s like being on a group e-mail with every person who subscribes to your e-mail newsletter. You’ll probably also want someone to review everything that is sent to your account to make sure you don’t miss something important or threatening, and that can be cumbersome. You don’t want to recreate the 1990 problem of companies that set up “contact” e-mail addresses and never checked them again. 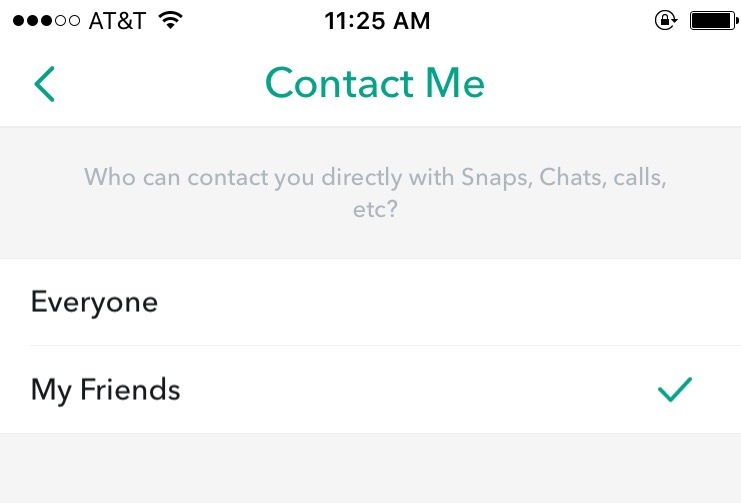 The second way to receive messages in Snapchat is to let everyone send you messages. This saves you from having to manually add everyone who adds you, doesn’t add everyone’s stories to the list of stories you want to watch, and has the added benefit that you can globally activate and deactivate it. If you don’t want to leave your account open all the time, you can still ask for feedback, open your account to messages from everyone, and then close it again when you’re finished. Turning messaging on for everyone for a brief time when you want to accept feedback is a good compromise. People can send you messages without leaving Snapchat, and you don’t have to constantly monitor another inbox. If an account accepts messages from anyone, you have to go to your friends list, tap on the account name, and then tap on the messaging icon. It’s not obvious or in your face like “chat” is, so you should occasionally explain how to do this if you want people to message you this way. Unfortunately, you only know whether someone’s account is open to receiving messages after you try to send them a message. You’ll always see the messaging icon and get a chat screen when you tap it. Only after you try to send a message will you know whether it’s possible. If an account doesn’t accept messages from everyone, you’ll get a “pending” notice next to the Snap you tried to send. If you want people to acknowledge a specific image (for example, to let you know if they like an image or if you want them to vote on something), you can ask people to take a screenshot of the image. Snapchat tells you the number of people who have taken a screenshot of your image, and it tells you who they are. To see the username of each person who voted, click on the green number, and you get a list. Be sure to take your own screenshot of the results. They will disappear along with your story 24 hours after you’ve posted it. A version of this piece first appeared on Medium.